Coloro – the colour revolution? We are a member of DIN e.V. Founded in 2016 by a coalition of German and Swiss colour professionals, freieFarbe e.V. is a non-profit association registered in Germany. We want to share tips and hints how to create consistent colour in all fields of application and how the world of colour could be easier. And we want to show: the computer is an ideal tool for colour, it can make colour free! On this website you will find a blog where you can post your own articles. Show interesting examples from your field of application, give your own tips. Our own development is now available in 2040 and 13283 colours (standard and XL version). 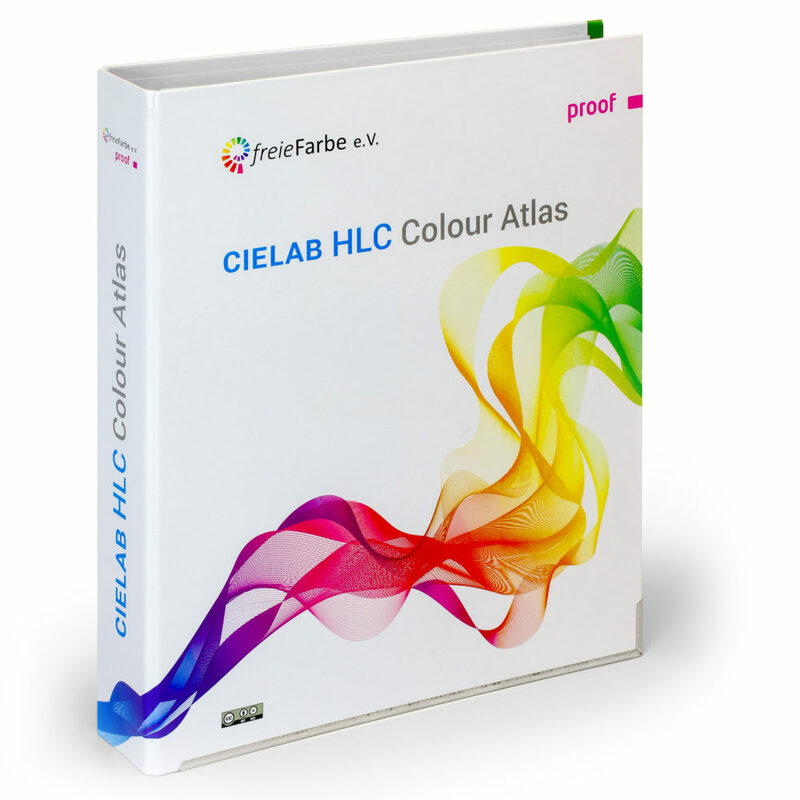 We see the innovative HLC Colour Atlas as the basis for all stages of professional colour communication – from design to the finished product. It follows the DIN SPEC 16699. The free file package contains the PDF version with several gamuts for on-screen comparison or your own printouts plus the 380–730 nm spectral data of all colours for commercial ink formulation. The ring binder is produced with state-of-the-art inkjet proofing equipment in a company specialized in this field – the prints have a colour accuracy that would not have been possible a few years ago (average DeltaE00 < 0.5); it is comparable to the far more complex lacquer printing process. The price is EUR 149 for the standard edition, and the introductory price for the XL edition amounts to EUR 399 (plus shipping and VAT). The German Institute for Standardization, DIN e.V., awarded us a research and development contract for the preparation of the DIN SPEC 16699 “Open Colour Communication” which has been published in November 2018. This project was financially supported by DIN. In this context, we have also joined DIN e.V. as a member. Bring more than 360 colour systems into your design software or into your programming project. Now with all colour palettes for Adobe CC, Scribus, LibreOffice, Gimp; Lab and RGB colour values in plain text, and photos of the colour fans. Everything can be copied free and passed on under the CC4.0 licence. You can download the OCSC 2.0 here. Become a member, join the colour revolution, and profit from our network of experienced colour users. The annual fee is 50 EUR; for students, it is half that amount. Plus, you get a CIELAB fan (HLC) worth 39 EUR as a welcome gift. Premium members (200 EUR per year or active cooperation) also get an individual partner page to present themselves on freiefarbe.de. You can also support our work with a donation. The easiest way is by PayPal, where you instantly get a donation receipt. Why must colour be liberated? Media-neutral publishing and correct colour across media – pure luck? Both! As colour liberation is important worldwide, the international spelling “colour” will mostly be used in our publications. 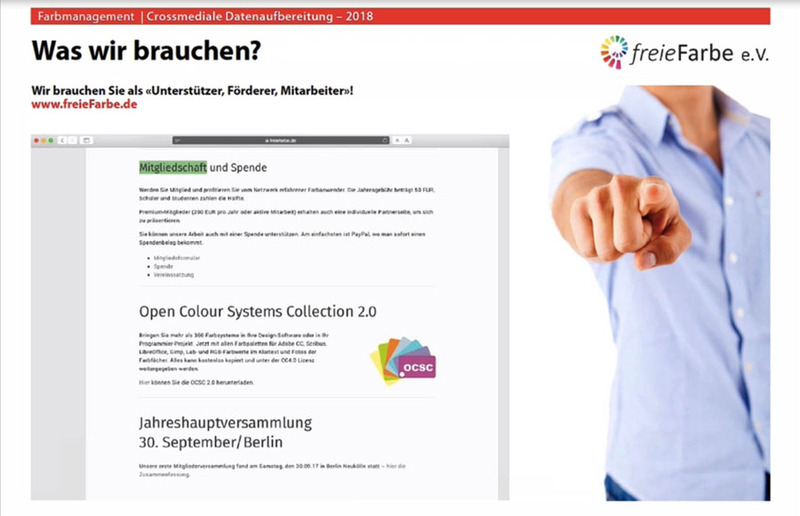 Caused by availability and with respect to our European domicile we chose “freecolour.org” as domain name. Some authors do prefer the American spelling “color” though.